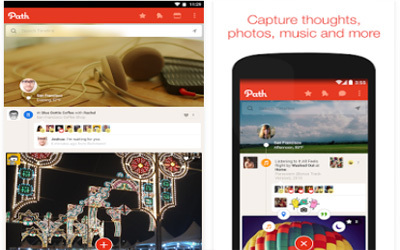 Previous version Path 6.1.0 apk for Android will help you to downgrade or install older app easily. This is one of the best Social apps. Make your account public to start sharing your moments with the Path community. Choose who you want to share your moments with on Path including your Inner Circle, Path friends, or all Path users. Easily manage your privacy settings. We’ve added more privacy settings for your Coverstory. Like your friend’s Coverstory? Let them know by sending a heart or writing a message! Upload videos from your camera gallery.